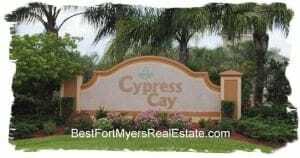 Cypress Cay, Gateway, Fort Myers, FL 33913 is a single family home and gated community. Includes its own community swimming pool and play areas. Great real estate opportunities located near the new Boston Red Sox stadium and RSW airport. Cypress Cay, Fort Myers – Easy to use and Up to Date MLS search!